What makes each religion attractive and beautiful to its adherents? How does the gospel of Jesus Christ fulfill these needs in a greater way? The following podcast episodes focus on these questions, respectfully engaging world religions, and attracting people through the beauty of the gospel. David W. Baker, General Editor. Biblical Faith and Other Religions: An Evangelical Assessment. Grand Rapids: Kregel, 2004. Russell H. Bowers, Jr. Finding Home: Mile Markers Among the World Religions. Sisters, OR: Deep River Books, 2016. Derek Cooper, Christianity and World Religions: An Introduction to the World’s Major Faiths. Phillipsburg, NJ: P&R Publishing, 2013. Winfreid Corduan, Neighboring Faiths: A Christian Introduction to World Religions. Second Edition. Downers Grove: IVP, 2012. 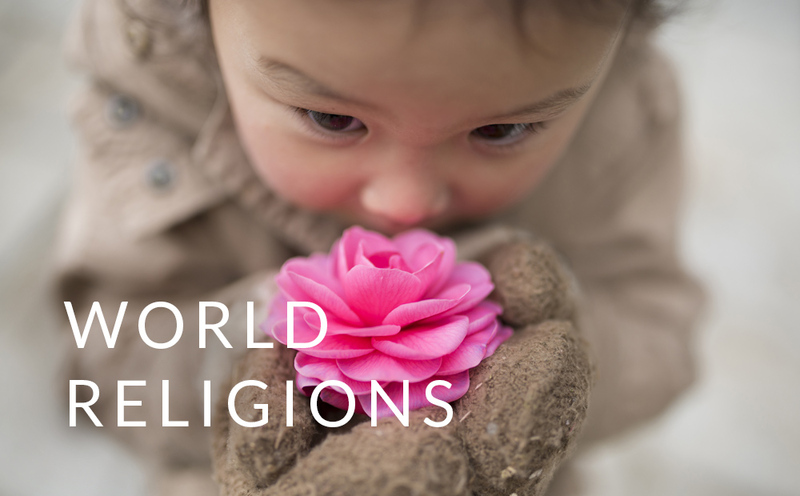 John L. Esposito, Darrell J. Fasching, and Todd T. Lewis, World Religions Today. 5th edition. New York: Oxford University Press, 2015. Charles E. Farhadian, Introducing World Religions: A Christian Engagement. Grand Rapids: Baker Academic, 2015. Irving Hexham, Understanding World Religions: An Interdisciplinary Approach. Grand Rapids, Zondervan, 2011. Russell Re Manning, 30-second Religion (The 50 most thought-provoking religious beliefs, each explained in half a minute). Ivy Press, 2011. Terry Muck and Frances Adeney, Christianity Encountering World Religions: The Practice of Mission in the Twenty-first Century. Grand Rapids: Baker, 2009. Nabeel Qureshi, Answering Jihad: A Better Way Forward. Grand Rapids: Zondervan, 2016. Nabeel Qureshi, Seeking Allah, Finding Jesus: A Devout Muslim Encounters Christianity. Grand Rapids: Zondervan, 2016. Christopher Partridge, General Editor, Introduction to World Religions, second edition. Minneapolis: Fortress Press, 2013. Stephen Prothero, God is Not One: The Eight Rival Religions That Run the World. New York: HarperOne, 2010. Thomas A. Robinson and Hillary P. Rodrigues, World Religions: A Guide to the Essentials. Second edition. Grand Rapids: Baker, 2014. Daniel Strange. Their Rock Is Not Like Our Rock: A Theology of Religions. Grand Rapids: Zondervan, 2014. Timothy C. Tennent, Theology in the Context of World Christianity: How the Global Church Is Influencing the Way We Think about and Discuss Theology. Grand Rapids: Zondervan, 2007. Timothy C. Tennent. Christianity at the Religious Roundtable: Evangelicalism in Conversation with Hinduism, Buddhism, and Islam. Grand Rapids: Baker, 2002. Timothy Tennent. Invitation to World Missions: A Trinitarian Missiology for the Twenty-first Century. Grand Rapids: Kregel, 2010.